As I’ve noted on several occasions, the allegations by Guardian reporters that Jews living anywhere beyond the green line (that is, where Jews have lived for centuries, with the exception of the period between 1949 and 1967) are in violation of international law are leveled as frequently as they are lazily. Such reports rarely even bother inserting a hyperlink to a source on the adjudication of the illegality of such Israeli communities. 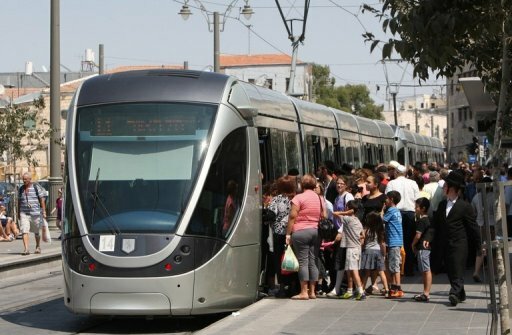 Charges have been legitimized by the Guardian’s Harriet Sherwood that Jerusalem’s light rail line – which audaciously serves both Arab and Jewish neighborhoods – is arguably a violation of international law. 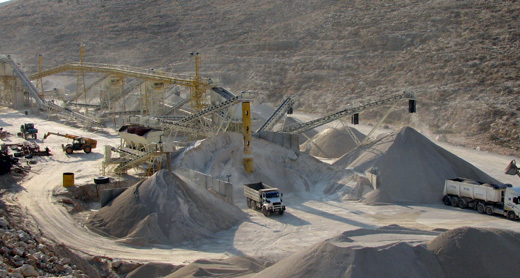 And, more recently, Israeli quarry mining in the West Bank, which provides economic activity and employment for Jews and Palestinians alike, was characterized in a report by Harriet Sherwood similarly as a possibly ‘illegal” act per international law. And, until recently, I thought the most surreal accusation that Israel was in violation of international law was when the Jewish state stood accused, by the NGO Palestinian Centre for Human Rights, of committing a WAR CRIME when they, in 2010, reopened a synagogue in Jerusalem’s Jewish Quarter, which had been destroyed by the Jordanians following the the 1948 War. However, the following report by International Middle East Media Center truly jumps the shark with such accusations. Unbelievable, but true: over 70 journalists from international mainstream media took part in a tour through Israeli settlements in the Palestinian West Bank last Thursday 19th… guests of the Head of the Samaria Regional Council Gershon Mesika and the Minister of Information and Diaspora Yuli Edelstein. Participants included journalists from well-known media outlets such as the British Guardian, the Reuters news agency, as well as reporters from France, Poland, China, Germany, South America, the United States, Radio London and several TV stations from Russia. What calls immediate attention is the very fact that a (large) delegation of international media professionals went on a tour around Israeli settlements, all deemed illegal under international law. In other words, a host of media people, from the same countries that condemn illegal settlements in occupied Palestine, partook in something that essentially breaks international law. The simple act of touring settlements in occupied Palestinian territory is an affront to international law…international media buying into a tour of this kind shows that they are complicit in covering up Israel’s war crimes. While I really wish I knew which Guardian journalist participated in the tour and, thus, flagrantly violated international law, I guess, any way you look at it, it’s becoming harder and harder to avoid reaching the conclusion that the Guardian Group is merely another tool of the international Zionist network. Haha! I only ever eat internationally illegal meals – hummus, shawarma. Beteavon! The role of a journalist is to inform. For this, he or she needs to report from the ground and to meet with all kinds of people, including war criminals and people violating international law and human rights law. This is why journalists go and talk to settlers in their settlements built in contravention of international law – it’s their job. Journalists also want to understand why these Israeli citizens abandonned their country and moved in the Palestinian territory. This is something difficult to understand for citizens of Western democracies, and also for most Israelis. Who knows what you will pervert, “Churchill”. It doesn’t even take in his antisemitic crony on the “Commission of Enquiry”. Wittgenstein could have told you, too. …when one investigates it it is like investigating mercury vapour in order to comprehend the nature of vapours. And if not suicide it certainly did him no good. And what about the harm to others? Please remember, according to Muslim teaching, anyone who does not submit to Islam and Allah and Mohammed completely is attacking all three and are in a state of aggressive war. Furthermore, any action taken by a Muslim against them is, therefore, a defensive war even if Muslims initiate the physical attack with only the provocation that someone believes something different from what they do. If you do not submit, what you do is commit a war crime. It’s as simple and as simple-minded as that. And anyone who takes the accusation of war crime and war criminal literally in a non-Islamic sense because he or she or it accepts Islamic terminology when they should know better is _____ (fill-in-the-blank). I can’t help thinking that if Israel had taken the decision to ban 70 foreign journalists from touring the settlements, the storyline would have been slightly re-written but its sentiments would have remained the same. Oh, dear. Another blow to the Palestinian cause. Some journalists actually wanted to see things for themsleves with an Israeli guide, rather than an Arab “fixer”. Who knows what uncomfortable truths might emerge?! A hamass “minder” – with lots of guns and knives. 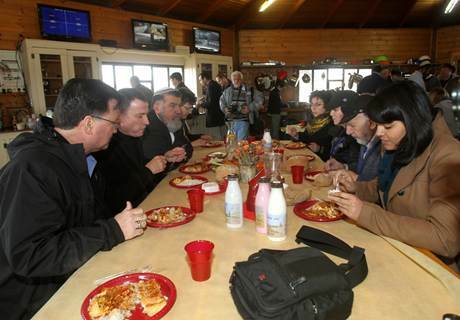 Is it somehow symbolic that the journalists ate their illegal meal off red dishes? Someone like Ben White could make something negative of that in his tweets. Also, I’m pretty sure that’s colonized Middle Eastern food on those aggressive red plates. It’s funny, Margie. I just wondered what they were eating. They have no case whatsoever. First of all, throughout the centuries the Jewish people never formally surrendered their claims to Jerusalem or any other integral part of Eretz Yisrael, and, above all, Judea and Samaria. In regard to international law, the West Bank, technically speaking, is terra incognita given that no sovereign power claims full rights and jurisdiction today. Jordan renounced de jure all claims to the territory upon signing the peace treaty with Israel back in the 1990s. The whole thing isn’t about the West Bank per se. Everyone realizes it by now. It’s all about an invented people trying to usurp rights of the people whom so many have been trying to disinvent for so long. Under international law, any Israeli settlement built in the West Bank, including East Jerusalem, is considered illegal and violates international law. The Fourth Geneva convention forbids an occupying power (here Israel) to transfer its own population (here settlers) into the occupied territory (here the Palestinian territory) to alter its demographic composition. This is a basic principle of international law, acknowledged by all the Governments in the world, except Israel. As a result, any Israeli settlement built outside Israel, beyond the Green Line, on territory belonging to the Palestinian people, is considered illegal. This was confirmed by the International Court of Justice (ICJ), ICRC and the UN Security Council. The ICJ wrote that “the Israeli settlements in the Occupied Palestinian Territory (including East Jerusalem) have been established in breach of international law”. Thanks Yigal. I was just about to write in similar vein. You’ve saved me the trouble. CifWatch posters often seem to think that repeatedly asserting an error (such as the legality under international law of Israeli settlements beyond the Green Line) makes it true. Fortunately for the rest of us this isn’t the case. Fortunately the rest of us don´t give a damn to your so-called “opinions”. Deal with it. Settlements built in the West Bank, including East Jerusalem, are deemed illegal by the International Court of Justice, the UN Security Council, the ICRC, the European Union, UN agencies, international NGOs, Israeli NGOs. All these are the world’s top experts bodies on international law. The only people pretending settlements are not illegal are a handful of right wing political parties in israel and the settler associations, which represent a marginalized part of Israeli society (500,000 people out of over 7 millions). And the current occupiers of Gibraltar must retreat back to their island nation. …deemed illegal by the International Court of Justice, the UN Security Council, the ICRC, the European Union, UN agencies, international NGOs, Israeli NGOs. And not one reputable body among them! Qui statuit aliquid, parte inaudita altera, æquum licet statuerit, haud æquus est. The one who decides in any case, without hearing the other side of the question, though he might determine justly, is not therefore just [Seneca]. I don’t see much there to convince anyone that your understanding of international jurisprudence goes any further than mere talking points. Put together, if you can, a brief explaining your point of view in concise legal terms pertinent to the matter at hand. Do not rely only on the UNGA or other UN-affiliated agencies. It’s applesauce anyway. that has nothing to do with international law. Once things get unduly politicized, no one expects a fair hearing any longer. So do it then. Let’s see what you have to say about international law. Needless to say, any post-1947 UNGA resolution on the Arab-Israeli conflict has always been biased in favor of the Arab side. In addition, UNGA resolutions are not legally binding to begin with. You cite Wikipedia, too. Not the most authoritative source when it comes to international law. Please cite something or someone more authoritative on the subject, like professors, international jurists et cetera. 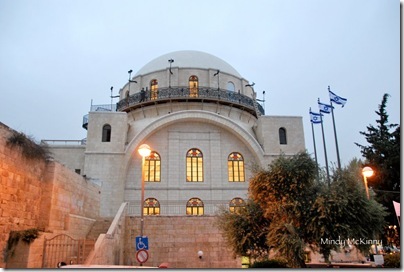 Harking back now, Israel and Jordan did not sign a peace treaty following the 1948 war. What some call the “Green Line” is merely ceasefire lines. Only bilateral peace treaties or multilateral conventions can permanently delineate international borders. This point shouldn’t be non liquet by now. Jordan renounced de jure all rights and claims to east Jerusalem along with Judea & Samaria upon signing the peace treaty with Israel in the 1990s. Ergo, all that territory is terra incognita in the eyes of the law. Moreover, the Fourth Geneva Convention is legally moot when it comes to fixing international borders. GC iV articles deal with immunity of civilians and protected persons during and following military hostilities. LOAC/IHL always applies all sides, opinio juris. Jewish civilians were removed by force from east Jerusalem and Gush Etzion in 1948. The ICJ lacks jurisdiction in the matter given that only Israel is a sovereign power. One requires at least two sovereign powers for adjudication. Dominated by jurists from the third world, the ICJ issued an advisory opinion that lacked merit and legal objectivity. In closing, those who had been dispossessed by force came back to reclaim their property in 1967. International customary law says they can retake it anytime. Thanks again for taking your time to write something. P.S. This was a reply to Yigal in case someone didn’t get it. This interpretation has been widely supported by international jurists. The Arab-Israeli conflict has several dimensions, and its legal dimension isn’t what really prevents a peaceful resolution of the conflict. Had it just been all about legal merits, the conflict would have been settled decades ago. Many respected jurists consider the ICJ being utterly biased when it comes to the Arab-Israeli conflict. And rightfully so. Like the UNGA where the Arab/Muslim bloc commands many votes. The IDF has always been observing the GC even under difficult battlefield conditions. Some misdemeanors were committed though. In contrast, the Arab side, more so, after passing UNGA 181 in 1947, violated LOAC/IHL, chapter and verse. In 1948, the Jews were forcibly removed from east Jerusalem, Gush Etzion, Gaza along with other locales, where they had established peaceful presence for many centuries. Not a single settled Jew was allowed to stay. In addition, Jewish property in situ was taken away without any compensation; which in itself constituted a grave breach of international law. “We should have spotted the unfortunate timing and regret any offence caused,” they said.